Nancy Kirkner learned to ring in 1999 and actively performed from 2007-2014 as concert handbell soloist, one of only a few in the country. Handbells were her first instrument. She specialized in classical music and was known for her grace and elegance. 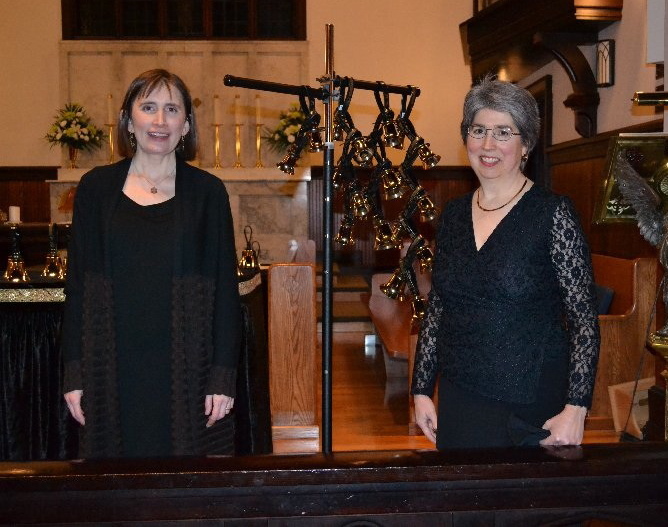 Nancy performed primarily with Janet Anderson, a local professional pianist. Their work was featured in concerts throughout the Northwest and on local TV broadcasts. Nancy served on the faculty for National Seminar of Handbell Musicians of America and the International Handbell Symposium, as well as state and local events for handbell musicians, music teachers, and percussionists.